A point-by-point response by Jonathan Sarfati and Philip Bell follows. You have raised this point before, suggesting that I have a “low view” of scripture. With this I beg to differ-I have a detailed and thorough view of scripture, and I have enough detachment to look at it somewhat analytically. Virtually every human society has an explanation of its origins, one that is usually self-centered enough to establish that society, in the minds of its members, as unique and separate. The accounts in the early chapters of Genesis are one of many such-it forms a unifying and “learnable” explanation that served an early mid-eastern society well. Although, like most such myths, it is not internally consistent (and often inconsistent with what we know of nature), it was satisfying and explanatory for its creators and transmitters and formed a central basis for their way of life. Greek and Roman mythology served the same purposes for their societies, although in many cases I suspect people winked at its veracity (much as wiser children are willing to accept Santa Claus as a useful deception). In such mythologies, strict adherence to factuality and internal consistency is secondary to the main functions of cultural identity. Our modern insistence on the factual veracity of history is (with a few exceptions) a relatively recent development. This approach does not denigrate the early pages of scripture; it just recognizes the most likely nature of these ancient writings, and it also recognizes their role in organizing and interpreting the rest of scripture. The fact that Jesus, Paul, and other biblical figures used the context of these writings in communicating their message testifies to the central role they served in Jewish thinking over the centuries. To have used a reference story outside the context of this shared common narrative would have their message far harder to deliver. You also say in your reply (via an internal quotation) that a single, rigid interpretation is essential for communication. You are greatly mistaken. In the fields of literature (especially poetry), art, music, religion, and ordinary personal discourse, ambiguity and imprecision are useful (and even necessary, at times) for communication. Consider, for example, the vagueness and ambiguity of many of the prophesies found in the Old Testament. Their very imprecision invites all sorts of claims about their later fulfillment, but it also serves to cause people to look at later events in the light of the overall prophetic message. So where precision is called for, it can be used. Where imprecision or indirection serves the communication better, it can be used. At this point you will probably be considering me to be a relativistic postmodernist-and you would be quite wrong. Postmodernism, which I dismiss as both a scientist and as a Christian, is given the lie by (among other things) a simple illustration: even the most doctrinaire adherent to the assertion that “everyone has his own truth” looks both ways before crossing a busy street, lest he be struck down by an illusion of someone else’s mind. You also say, “But it doesn’t follow that there is no correct interpretation.” Actually, in a collection of writings as complex as the bible, the odds of there emerging a single, unique, internally-consistent interpretation are vanishingly small. And, for better or for worse, we have to make the best of that. 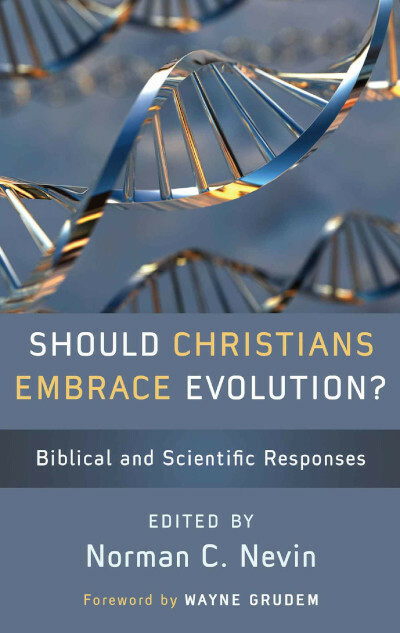 I am afraid that the YEC approach to this problem, that of constructing a precarious amalgam of literal reading of scripture, real science, and pseudoscience, results in a structure of extreme inflexibility and consequent brittleness. As is often pointed out by numerous creationist speakers and writers, if one part of the bible is admitted to be wrong, this whole edifice is subject to collapse. Repairing the damage by re-interpreting scripture is self-defeating, so when a threatening scientific finding becomes too persistent to ignore, the structure is repaired by invoking, for example, accelerated nuclear decay, catastrophic plate tectonics, the instantaneous one-way transmission of light and other devices that are quite unlikely to pass muster in the mainstream scientific community. But they do suffice to reassure the faithful that the threat to the structure posed by secular science has been dealt with. So thank you for your time and for the points that you have raised. I hope that I have not been too acerbic in my remarks, but frankness among discussants often leads to better communication. But sometimes not. You have raised this point before, suggesting that I have a “low view” of scripture. With this I beg to differ-I have a detailed and thorough view of scripture, and I have enough detachment to look at it somewhat analytically. The ability to analyse a text which one knows in detail is an entirely separate issue than that of one’s opinion of the same. The devil himself is fully conversant with Scripture as demonstrated by the manner in which he sought to tempt Christ (Matthew 4:1–11). But note that the correct antidote to misuse of Scripture was proper use of it, as Jesus demonstrated in His responses. Virtually every human society has an explanation of its origins, one that is usually self-centered enough to establish that society, in the minds of its members, as unique and separate. The accounts in the early chapters of Genesis are one of many such—it forms a unifying and “learnable” explanation that served an early mid-eastern society well. This self-serving modernist opinion about Genesis being merely utilitarian has been soundly refuted here: Is there evidence that the Bible is the inerrant word of God, rather than mere stories and opinions of uninspired men?. Although, like most such myths, it is not internally consistent (and often inconsistent with what we know of nature), it was satisfying and explanatory for its creators and transmitters and formed a central basis for their way of life. Then please provide a water-tight case, detailing some of these alleged inconsistencies, as opposed to merely asserting this to be the case and please consult our site first to make sure we haven’t addressed them already in Bible ‘contradictions’ and ‘errors’. Greek and Roman mythology served the same purposes for their societies, although in many cases I suspect people winked at its veracity (much as wiser children are willing to accept Santa Claus as a useful deception). In such mythologies, strict adherence to factuality and internal consistency is secondary to the main functions of cultural identity. Our modern insistence on the factual veracity of history is (with a few exceptions) a relatively recent development. There is a world of difference between Greco-Roman myths—such as the exploits of Jason and the Argonauts or Cupid and Psyche—and the genre of the early chapters of Genesis, as we have amply demonstrated; see also here and here. Also, the Apostles were at great pains to distinguish their own eye-witness accounts of Jesus from myths and “cleverly devised fables” (2 Peter 1:1), and were Jews who abhorred paganism (see Acts 14). See Was Christianity plagiarized from pagan myths? The fact that Jesus communicated anything at all to human beings is inseparably connected to the will of His heavenly Father as He clearly taught (John 5:19–23); the insinuation that He was more influenced by ‘Jewish thinking’ is out of kilter with the tenor of Scripture as well as with the fact of His deity. Moreover, your contention that Jews of the first century would have had a hard time receiving teaching different from their ‘shared common narrative’ smacks of chronological snobbery as well as neglecting the timeless application of this NT teaching; on numerous occasions, we see unambiguously that Christ was aware that His words would carry forward in time through all generations, such as in Mark 14:9 and Matthew 24-25 to name just two. Further, Jesus often challenged the “Jewish thinking” of His day, otherwise they wouldn’t have bothered to crucify Him. This is an old canard amply addressed in an old article, The authority of Scripture. You also say in your reply (via an internal quotation) that a single, rigid interpretation is essential for communication. You are greatly mistaken. In the fields of literature (especially poetry), art, music, religion, and ordinary personal discourse, ambiguity and imprecision are useful (and even necessary, at times) for communication. You have ignored the context of our statement which made clear that “Scripture is its own authority” rather than the individual reader. If the Biblical data taken as a whole (we linked to Acts 20:27) leaves us with no ‘wiggle-room’, extra-biblical data must bow the knee to this ‘rigid’ Scriptural teaching, not vice versa. Furthermore, just how ‘ambiguity and imprecision’ would be useful in communicating historical facts (e.g. Genesis), when disbelief of the same by the reader is tantamount to a rejection of Christ’s own words (compare John 5:45–47), is hard to credit! Consider, for example, the vagueness and ambiguity of many of the prophesies [sic] found in the Old Testament. Their very imprecision invites all sorts of claims about their later fulfillment, but it also serves to cause people to look at later events in the light of the overall prophetic message. So where precision is called for, it can be used. Where imprecision or indirection serves the communication better, it can be used. Thus Israel, God’s firstborn son in one sense, became the type, and the antitype was the Messiah, the ideal and perfect Firstborn Son of God. It is via this Perfect Israelite and the ultimate fulfillment of the promise to Abraham that through his seed (Galatians 3:16), all nations would be blessed (Genesis 18:18). At this point you will probably be considering me to be a relativistic postmodernist—and you would be quite wrong. Postmodernism, which I dismiss as both a scientist and as a Christian, is given the lie by (among other things) a simple illustration: even the most doctrinaire adherent to the assertion that “everyone has his own truth” looks both ways before crossing a busy street, lest he be struck down by an illusion of someone else’s mind. Yet your view of Scripture is postmodern! You also say, “But it doesn’t follow that there is no correct interpretation.” Actually, in a collection of writings as complex as the bible, the odds of there emerging a single, unique, internally-consistent interpretation are vanishingly small. And, for better or for worse, we have to make the best of that. If we were dealing with merely human authorship, you might be right, although we showed you an obvious counter-example. But you neglect—or more likely, choose, to disbelieve—that Scripture is literally ‘God-breathed’ (2 Timothy 3:16). As such, to argue against the likelihood of a unique, internally consistent interpretation is tantamount to challenging God’s attributes of omniscience and omnipotence—the warning of Romans 9:20 seems very apt! I am afraid that the YEC approach to this problem, that of constructing a precarious amalgam of literal reading of scripture, real science, and pseudoscience, results in a structure of extreme inflexibility and consequent brittleness. As is often pointed out by numerous creationist speakers and writers, if one part of the bible is admitted to be wrong, this whole edifice is subject to collapse. These are weasel words. 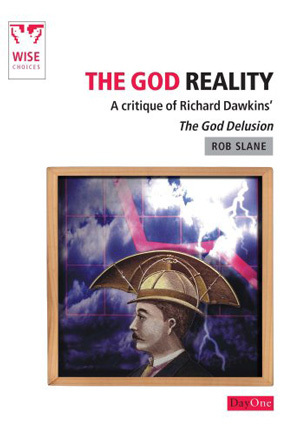 The point made by creationist speakers stands and should need no further comment, but you try to use it to support distorted logic; nothing, in point of fact, qualifies more as a ‘precarious amalgam’ of God’s Words and man’s fallible opinions than the theistic evolutionary position that you yourself tenaciously hold—as a large number of articles on this site have, time and again, outlined; see the Theistic evolution section of this page. 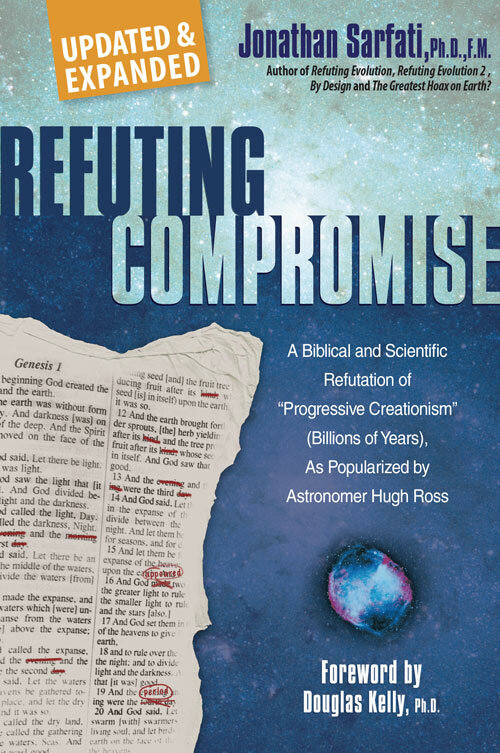 Repairing the damage by re-interpreting scripture is self-defeating, so when a threatening scientific finding becomes too persistent to ignore, the structure is repaired by invoking, for example, accelerated nuclear decay, catastrophic plate tectonics, the instantaneous one-way transmission of light and other devices that are quite unlikely to pass muster in the mainstream scientific community. Thus we realize that while Scripture is totally true, it does not contain the totality of truth. Thus where there are neither explicit statements nor logical deductions from Scripture, it is perfectly reasonable to propose models to try to elucidate Scripture. But these models must neither contradict Scripture nor be placed on a par with it. The raison d’être of Creationist researchers has never been to re-interpret Scripture; quite the contrary. Those same workers are adamant that professing Christians can have no truck with re-interpretations of Scripture which bow the knee to modernist opinion and which are, therefore, not faithful to the time-honoured understanding of the Bible. By that we mean the grammatical-historical view of the Creation/Fall/Flood/Babel accounts that stood for centuries before old-earth and evolutionary thinking was giving a pseudo-scientific veneer of respectability from the late eighteenth century onwards. You also fail to differentiate the magisterial and ministerial approaches to science, explained in the book Refuting Compromise. In short, we reject re-interpretation of Scripture, which would be making science the master (Latin magister) over Scripture; this is what theistic evolutionist do. Rather, we realize that while Scripture is totally true, it does not contain the totality of truth. Thus where there are neither explicit statements nor logical deductions from Scripture, it is perfectly reasonable to propose models to try to elucidate Scripture. But these models must neither contradict Scripture nor be placed on a par with it. CMI explained this long ago in Hanging Loose, and a recent Journal paper and forthcoming Creation magazine editorial explain these points (Flood Models and Biblical Realism, JoC 24(3), 2010; Biblical history and the role of science, Creation 33(4)). But they do suffice to reassure the faithful that the threat to the structure posed by secular science has been dealt with. How ironic that you (a professing Christian) should choose to refer to those who take the most straightforward reading of these Scriptures as ‘the faithful’—almost always it’s avowed atheists and secularist who sneer as they refer to Christians who take a creationist view using these words—the point of our original article! But, you have hit the nail on the head—this whole argument does revolve around whether one is prepared to be faithful to the Word of God or not! We agree that frankness usually facilitates communication and we trust that you will also receive these counter-remarks in the same spirit.